The warmer the temps, the hotter the fashion. SEEN rounded up our nine favorite street style looks from April. Telly Mallory deems herself “a proud tall curvy girl from the D” and aims to encourage self acceptance through her fashion blog tellylovesfashion.com. Her fun, spunky sense of style is relatable to women of all shapes and sizes, and easy on the wallet too! Her confidence and playful personality shines beyond her clothing choices, setting a great example of self love. Follow Telly on Instagram at @tellylovesfashion for more style content. 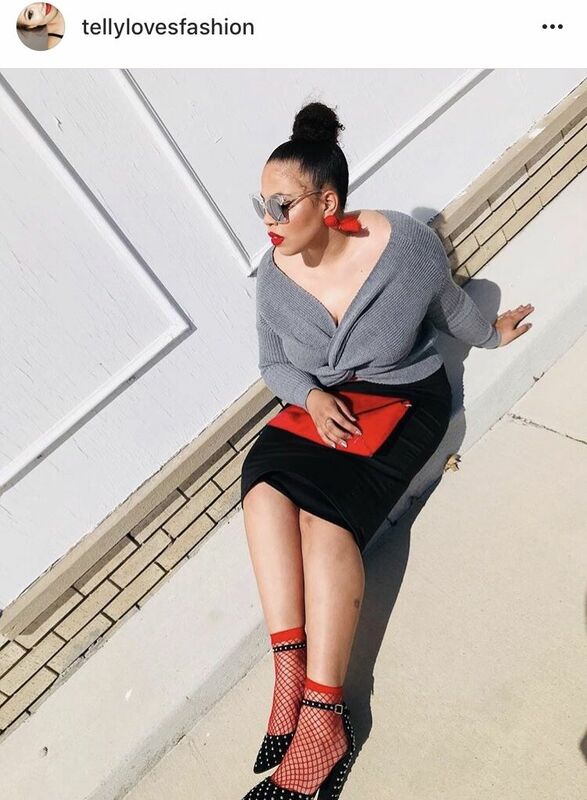 Telly is pictured above wearing a grey twist front sweater and olive oil II skirt from Fashion Nova, red tassel earrings from H&M (shop similar), Stassi-studded pump from Shoe Dazzle, red fishnet ankle socks from ASOS and a red clutch (shop similar). Dreamer, believer, gatherer, mama bird and restauranteur are just a few of the many things that make up Sarah Schneider, owner of The Fed in Clarkston. When she’s not busy crafting with her kids, collecting seashells on the seashore or running her modern, bohemian restaurant, Sarah loves sharing dreamy photos of her children, her travels and her personal style. Follow Sarah’s magical journey on Instagram at @lovesarahschneider. 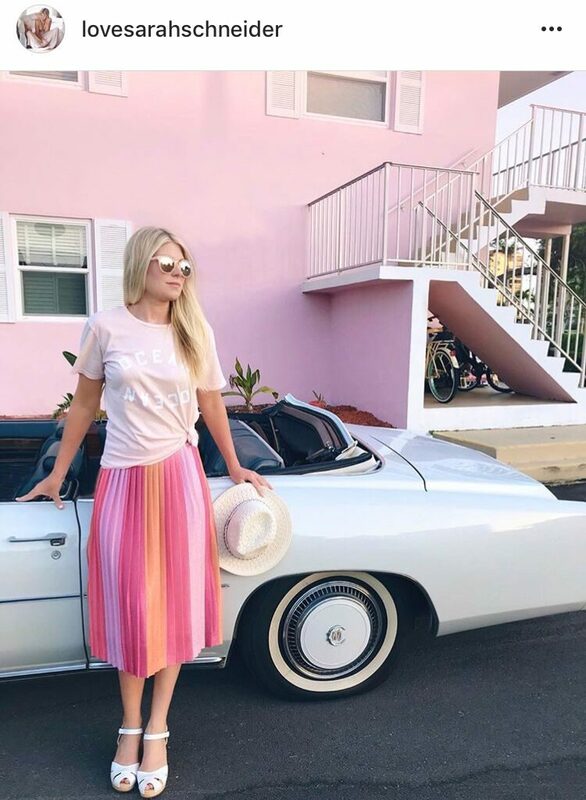 Sarah is pictured above wearing a romance ocean graphic tee and maeve sunburst pleated midi skirt from Anthropologie, white cork heel sandals (shop similar), mirrored sunglasses (shop similar) and a straw hat (shop similar). 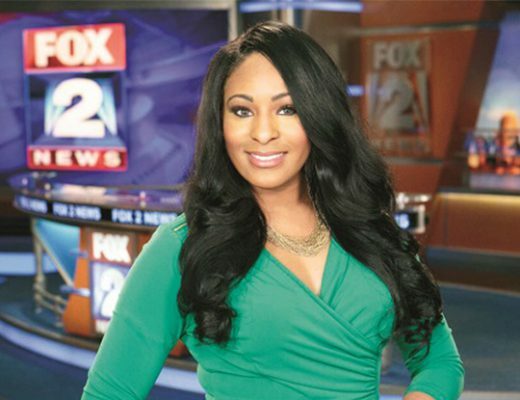 When Tieka Ellis isn’t busy traveling or lighthouse hopping around Michigan, she is a graphic designer by day and a style blogger by night and weekend. 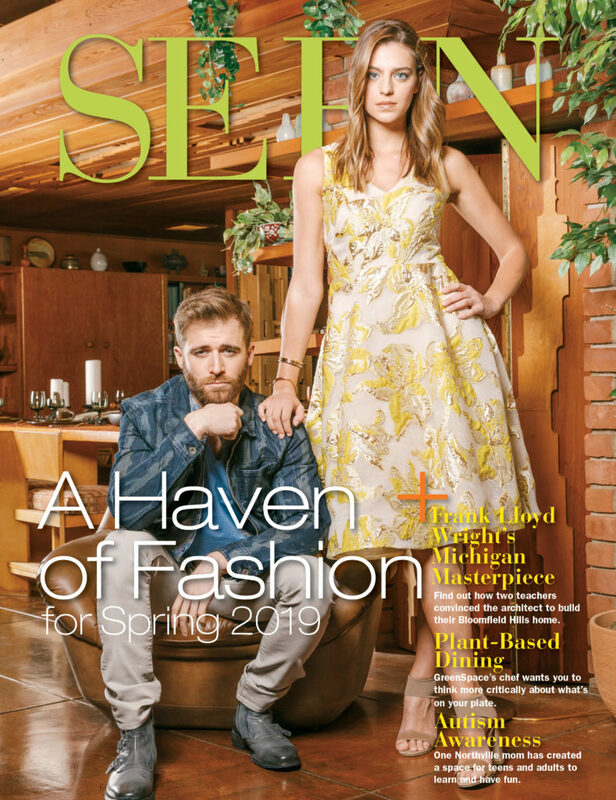 She captures her casual, bohemian style in some of the most picturesque settings that Michigan has to offer. 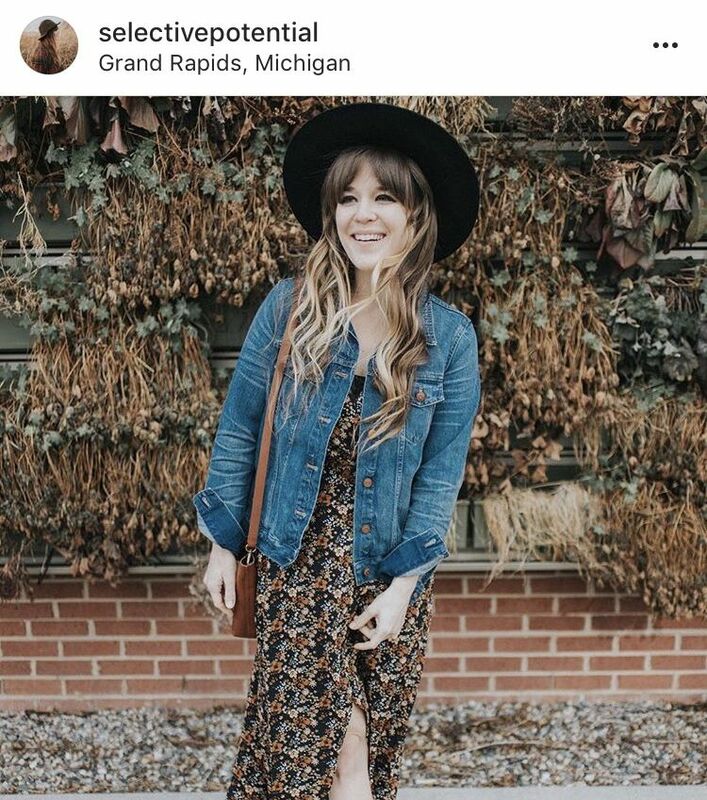 On Tieka’s blog, selectivepotential.com, you can shop her outfits, indulge in her adventures and discover beautiful places around the mitten. Follow Tieka on Instagram at @selectivepotenial for more. Tieka is pictured above wearing a jean jacket in pinter wash, maxi dress in prairie blossoms, small transport cross body and the harper mule all from Madewell, Dahlia black wide brim felt hat from Gigi Pip and Tifani earrings from Rebels Mark. 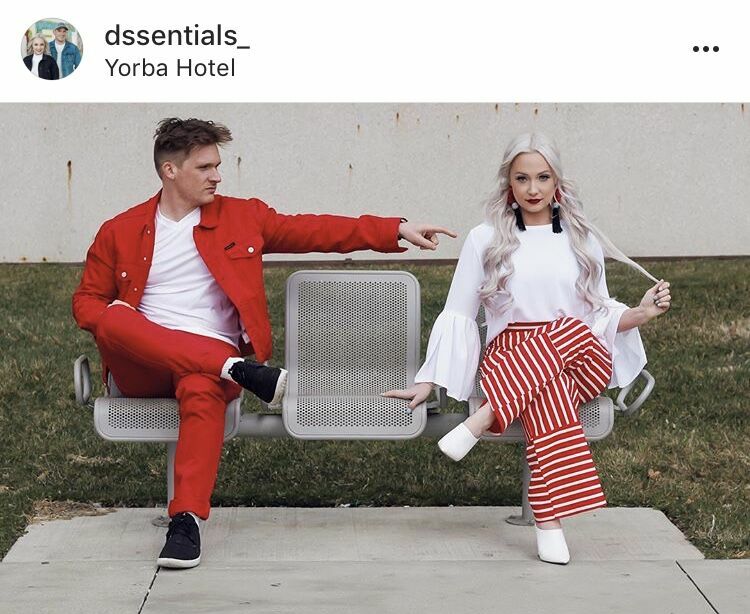 The fashion-forward duo behind Detroit lifestyle blog dssentials.com is bringing city goers a couples perspective on life, style and history in the D. Can we say couple goals!? 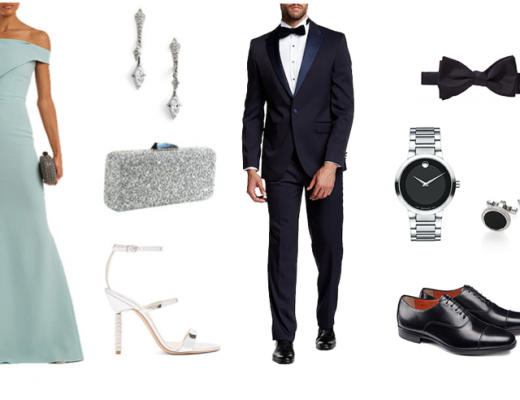 With content for him and her featured on their blog, Dssentials is the one-stop source for all things stylish around the city. Check out Andrew and Emily showcasing their style and the best of Detroit on Instagram at @dssentials_. Andrew is pictured wearing a Calvin Klein red trucker jacket, Calvin Klein white v-neck tee, Calvin Klein red slim fit jeans, all from Macy’s, and Jordan Eclipse low-rise sneakers from Foot Locker. Emily is pictured wearing a pair of red and white striped palazzo pants and a white pleated sleeve blouse from Zara, white faux leather mules from Forever21 and red and black statement fringe earrings (shop similar). Miss Michigan USA 2018 Elizabeth Johnson is more then just your average beauty queen. 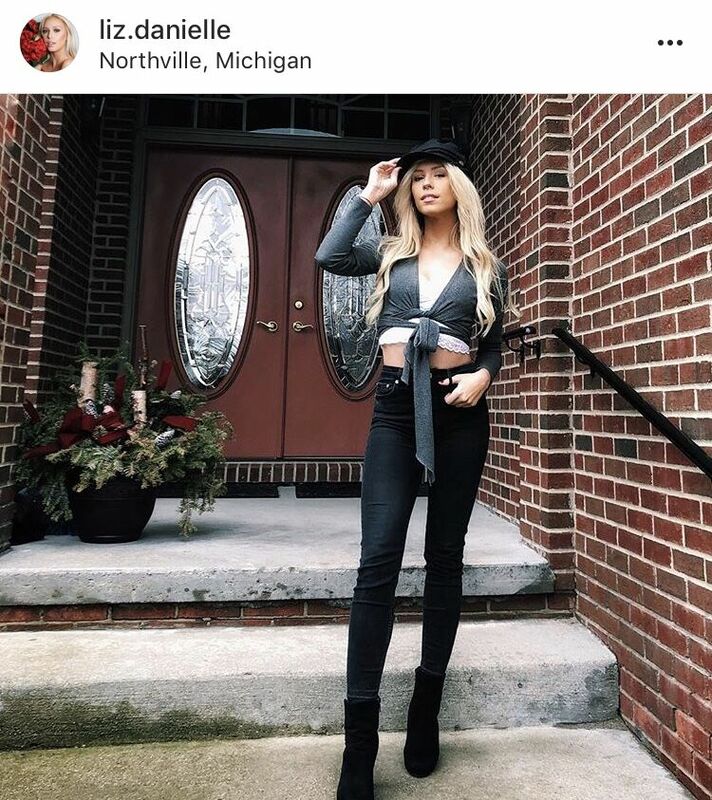 As a Michigan State University alum, this pretty former Sparty shares her journey to the crown, her travel adventures, fitness tips and some seriously cute style on her Instagram account @liz.danielle. To learn more about Liz and her Miss Michigan USA title visit missmichiganusa.com. 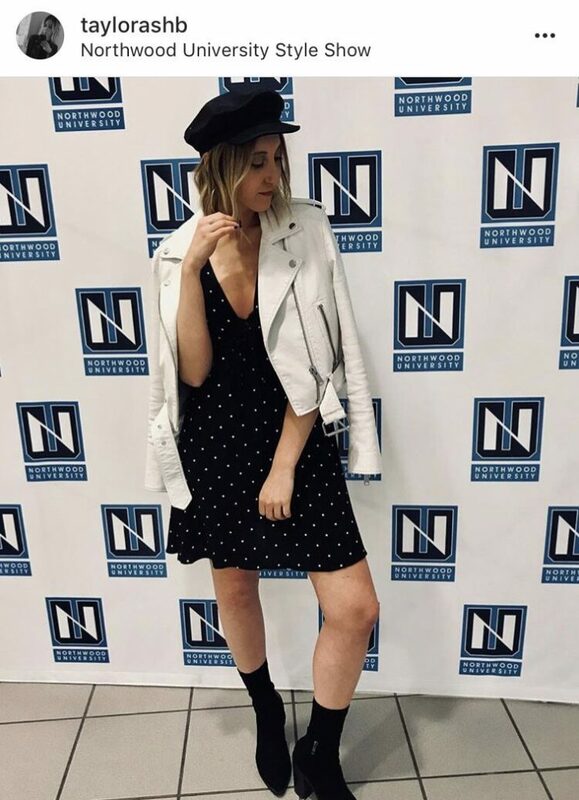 Liz is pictured above wearing a black baker boy hat (shop similar), long-sleeve cropped wrap top (shop similar) with a white lace bralette underneath (shop similar), black skinny jeans (shop similar) and black booties (shop similar). Kherington McFarland is a jack of many fashionable trades. 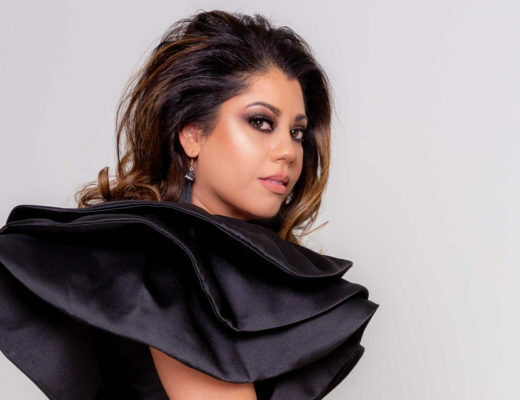 From running a consulting business that consists of content creation and strategy for bloggers and businesses, to booking personal styling consultations, to running her fashion blog currentlykherington.com, Kherington is killing the girl boss game. And if that isn’t enough on her plate already, she’s also a mom to an adorable 2-year-old daughter, Bentlee. Check out Kherington’s chic, well-crafted style on her blog and on her Instagram account @currentlykherington. Kherington is pictured above wearing a hi-low collared shirt (shop similar), olive lace-up pants from La Miller Boutique, statement earrings (shop similar) and black sandals (shop similar). 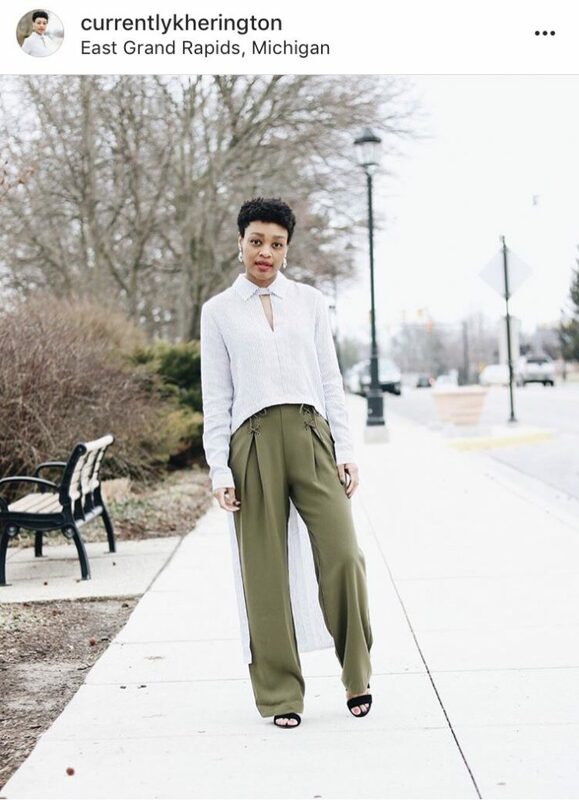 Central Michigan University college student Alexis Kelly brings us a fresh perspective on fashion with her trendy, minimalistic style. Alexis loves styling black and white staple pieces with pops of color, trendy accessories and bold lips. Cute sunglasses, brunch and glossier products are her jam, and when she’s not caught living it up in London, you can catch her organizing a fashion show at CMU or creating content for collegefashionista.com. Visit thatchiclex.com for more content by Alexis, and follow her on Instagram at @thatchiclex. 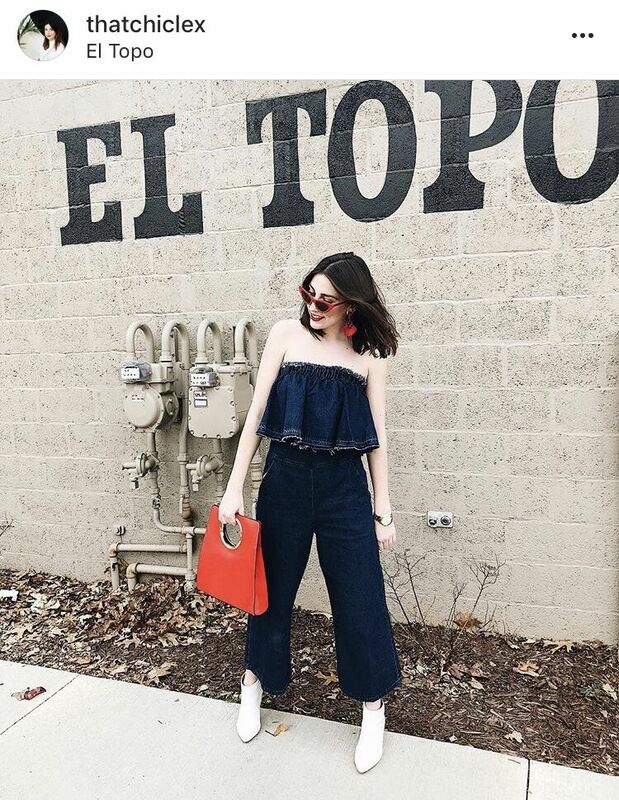 Alexis is pictured above wearing a denim crop top and matching cropped pant set from T.J. Maxx (shop similar), red foldover metal handle clutch from Target, white booties (shop similar), red cat-eye sunglasses (shop similar) and pom pom earrings (shop similar). 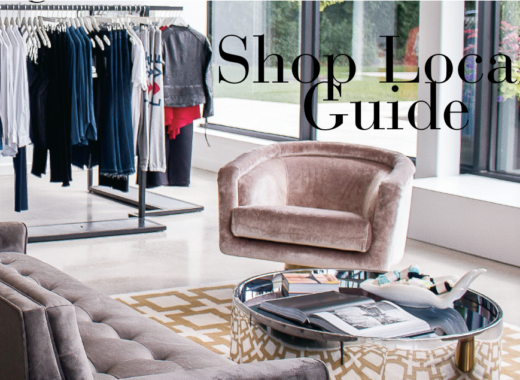 Taylor Bolleber, founder of Detroit-based women’s boutique Bird Bee, and men’s boutique Urban Angelo, reps her store’s edgy and bohemian pieces on the regular. She is not afraid to bend the rules and have a little fun when it comes to fashion. Her expressive and edgy soul radiates through her creative vision for her boutique and the beautiful items that fill it. Follow Taylor on Instagram for a behind-the-scenes look into her city girl life at @taylorashb, and follow her boutique accounts @bird_bee_ and @shop_urbanangelo. 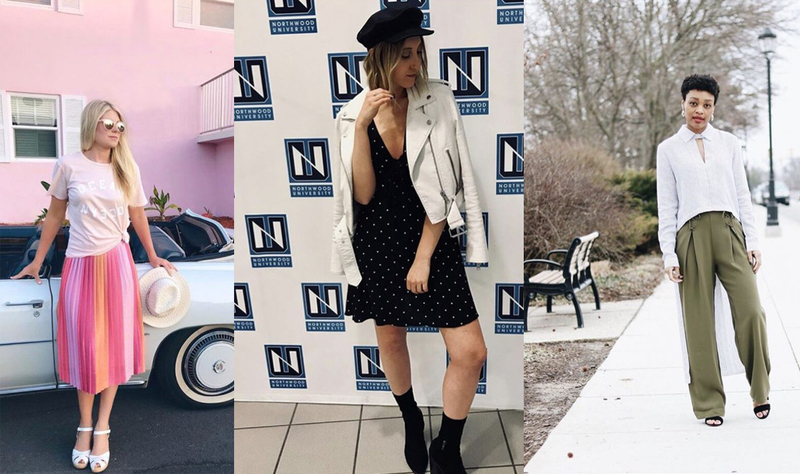 Local fashion blogger Brittany Stieber discovered her love for blogging while studying fashion design and visiual merchandising in college. Since then, Brittany has become a full time blogger featuring everything from style content, to her fun escapades with fellow blogging sister Emily Stieber on her blog bedazzledbritt.blogspot.com. 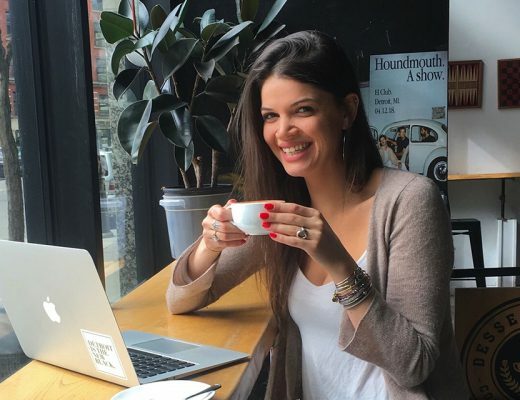 Blogging has transformed Brittany’s life into one stylish adventure. Follow Brittany on Instagram at @bedazzledbritt for daily outfit posts. Brittany is pictured above wearing a Calvin Klein white button-up shirt (shop similar), khaki sash waist pants from Express (shop similar) and white BCBG Max Azria pumps (shop similar). Do you love showing off your style on Instagram? 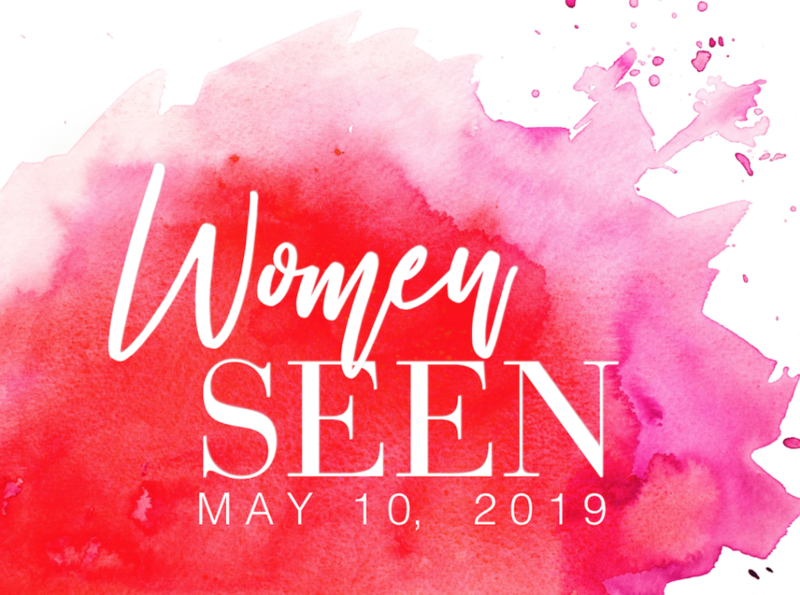 Use the hashtag #SEENStreetStyle on your next OOTD, or direct message us your stylish photo on Instagram at @seenmagazine for a chance to be in an upcoming SEEN Street Style feature.